Few experiences can equal waking up with the sound of waves crashing on the coast, just a stone’s throw away. The Oregon Coast arguably boasts the country’s most incredible shorelines, and it is dotted with prime places to camp for RV travelers. Here are a handful of the Oregon Coast’s finest shore-side RV camping spots. Heading north to south, you will find amazing sights and plenty of activities for one of the best RV vacations ever. In Seaside, stop to see the famous turnaround on the Seaside Promenade, where a statue commemorates where Lewis and Clark ended their long journey. RV camping at Seaside Thousand Trails Resort provides everything needed and is in close proximity to all the fun available around Seaside. The park has an indoor pool which is a lot of fun as well. Tour historic sites and explore Seaside’s expansive beach while you’re here. Next stop is beautiful Rockaway Beach, where you can visit Manhattan Beach State Recreational Site and take part in the best of Oregon’s coast activities such as crabbing, clamming or simply wandering sandy beaches. Camp at the Jetty Fishery Marina and RV Park. It is a thrilling two-minute boat ride across the bay to the beaches of Nehalem Bay State Park. Check out the tide pools and enjoy the quiet, relaxing atmosphere around Nehalem Bay. Just eight south of Lincoln City is the ideal place to camp for your next day or two of adventures. Be sure to experience the thrills of deep sea fishing. Fresh water fishing is also available and you may hook some salmon. The Sea & Sand RV Park in Depoe Bay is wonderful for the ocean views while you relax after a day of exciting explorations. Golfing is another favorite activity around Lincoln City, and you will find a great 18-hole course to get in a game or two. Further south you will love Drift Creek for getting out in nature and viewing the wildlife. In Waldport, you will find the Waldport/Newport KOA is the best place to find year-round RV camping. Views are wonderful and you can see the Pacific Ocean and overlook Alsea Bay. This is a top spot for fishing. Be sure to stop by the historic bridge in Waldport and see the Oregon Coast Aquarium. Next stop is Florence, where you will find adventures galore! Bay Front Old Town takes you back in time and the Siuslaw Pioneer Museum just adds to all the enjoyment for history buffs. Outdoor fun is available at the Oregon Dunes National Recreation Area, where you can hike, picnic or drive scenic routes. And don’t miss stopping at Sea Lion Caves. RV camping at the Heceta Beach RV Park means only a five-minute walk to the beach. They have beautiful wooded sites, private and spacious. Great amenities as well, such as a laundry facility, showers and even a shuttle which will take you to the casino to try your luck, if you so desire. Take the Oregon Coast Highway to reach Discovery Point Resort in Reedsport. Here is a spot with direct and easy access to the beach, and they are open all year. Explore the dunes and watch the ocean waves crashing onto the shore. Make reservations well in advance, as they fill up pretty quickly. You can’t forget Coos Bay once you visit here! After you take in all the lighthouses in the area and visit the many state parks and national recreation areas, you will discover things about our land that not many have learned. The dramatic natural beauty can captivate anyone. 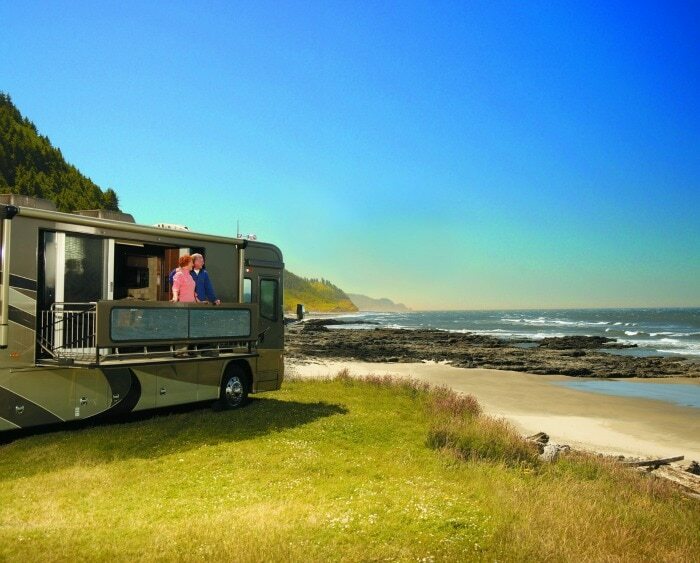 RV camping at Oceanside RV Park in Gold Beach puts you right on the Pacific. Last stop is Brookings, where the sights and sounds attract many all year. You will love Samuel H. Boardman State Park, summer concerts in Azalea Park, breathtaking views at Chetco Point Park and more. Harris Beach State Park camping offers inexpensive sites and great beach access. You can tide pool right out your front door, there is plenty of wildlife and the views are marvelous. Once you’ve reached Brookings, you’ve traveled the entire Oregon Coast from north to south and experienced some of the best Oregon has to offer. It is no doubt that there is more to see, so next time you may want to travel back along the coastal highways and byways to take in even more sights. 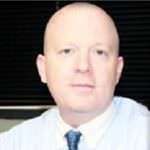 Joe Laing is the Marketing Director for El Monte RV, a nationwide source for RV rentals. A travel industry professional for more than 20 years, Joe greatly enjoys exploring the outdoors and camping across the U.S. from coast to coast. He is actively involved in numerous travel and campground associations, including RVIA's Go RV'ing committee.